Photos: UNH Campus and Morse Hall. Located in Durham, New Hampshire (43°13´N, 70°92´W), the University of New Hampshire is just 13 miles (21km) from the Atlantic seacoast. 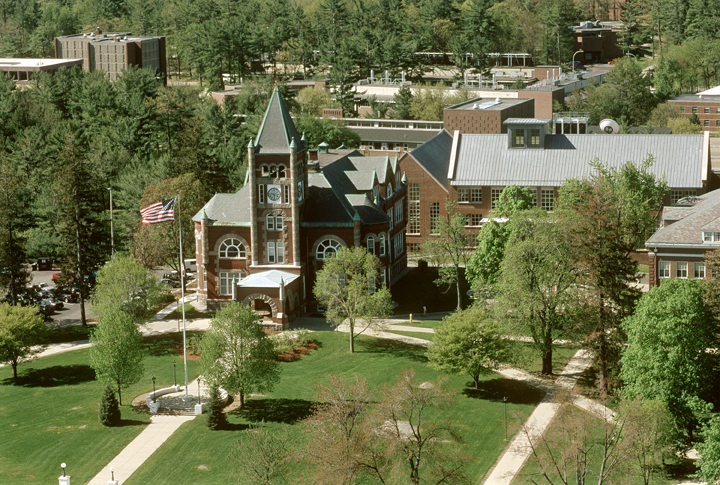 Founded as a land-grant university, the University of New Hampshire (UNH) is now a land-, sea-, and space-grant institution and is among the top-tier of research institutions in the United States. The University is made up of dozens of academic departments, interdisciplinary institutes and research centers attracting an international body of students and faculty. Some 13,000 students and hundreds of faculty and staff live and work in this coastal New England community. The interdisciplinary research at UNH's Institute for the Study of Earth, Oceans, and Space (EOS) places it in the forefront of academic centers offering opportunities for students to work alongside distinguished faculty on high-level research projects. 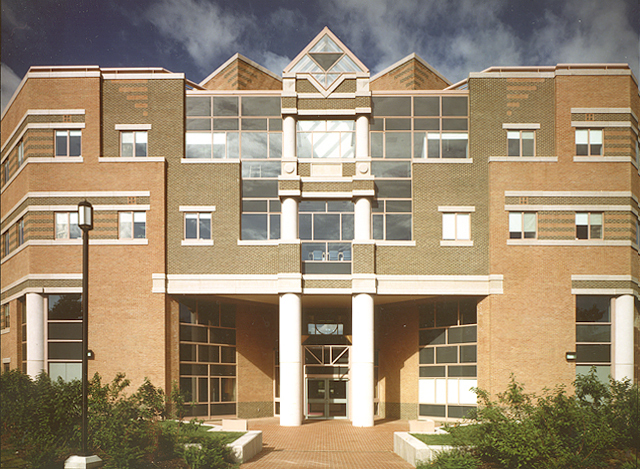 Faculty, staff, and students are affiliated with one of three research centers: the Earth Systems Science Center, the Ocean Process Analysis Laboratory, or the Space Science Center. EOS researchers have expertise in space science, engineering, atmospheric chemistry, ocean dynamics and chemistry, biogeochemistry, climate change, paleoclimatology, forest and wetland ecology, hydrology, marine science, and remote sensing of terrestrial and ocean ecosystems. They can be found in the pages of Science and Nature and working with students on the ice sheets of Greenland, the forests of North and South America, the waters of the North Atlantic Ocean, and in laboratories designing precision instruments for spacecraft.